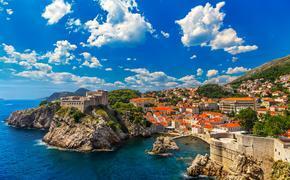 WHY IT RATES: Theme cruises are hot right now. Un-Cruise gets into the game with cruises that appeal to the special interests of their passenger base. Travelers looking for that extra something special to spark their interest have more theme cruises to choose from in 2014/2015 with Un-Cruise Adventures' current lineup on its small ship cruises in Alaska, Mexico’s Sea of Cortés, Columbia & Snake Rivers and coastal Washington. Planned themes include photography, marine biology, Lewis & Clark, Washington craft beer, Washington wine, and music/entertainment. The 84-guest Safari Endeavour sails roundtrip Juneau on an Alaska cruise exploring the wilderness for a week, no port calls. Two days are spent inside Glacier Bay National Park where guests can go ashore and hike with a park ranger or kayak and explore glaciers by sea. Photography, marine biology and wine theme cruises are planned for upcoming dates in 2014 and 2015. The 88-guest S.S. Legacy sails weeklong Alaska cruises between Juneau and Ketchikan, Alaska (and reverse) with included shore excursions in each port. Nationally-acclaimed singing duo Letters from Home brings their 1940s style harmonies, tap dancing and comedy to one departure. 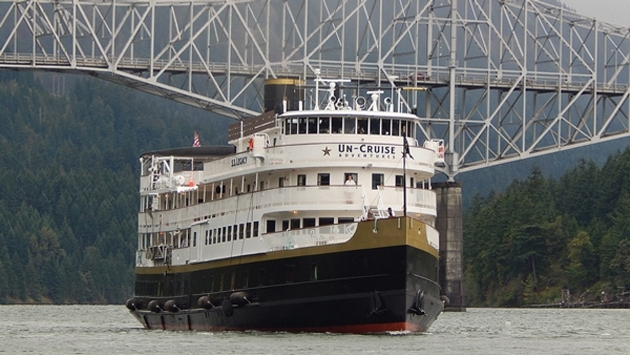 The 88-guest S.S. Legacy, a replica coastal steamer, sails weeklong river cruises along the scenic Columbia and Snake Rivers roundtrip from Portland, Oregon with a full program of top value shore excursions included in each port. Heritage guides bring history alive on board through innovative programing and presentations. Todd Weber, an expert on Lewis and Clark and early American history joins five departures in 2014/2015 to provide additional presentations on Lewis and Clark’s expedition along the rivers. Singing duo Letters From Home joins one departure. The 84-guest Safari Endeavour sails two Mexico cruise itineraries roundtrip San José del Cabo, Baja, Mexico from November – March. Guests enjoy a full complement of water sports activities, seek out marine life and explore remote, scenic desert landscapes. Marine biology and photography experts join four theme cruises. The 60-guest Wilderness Adventurer sails roundtrip Seattle in spring and fall on a coastal Washington cruise exploring Puget Sound and Salish Sea from South Hood Canal to Olympic National Park and the San Juan Islands by foot, kayak, skiff and paddle boards. Two Washington craft beer theme cruises are planned with guest experts on board, special tastings and tours to small craft breweries.